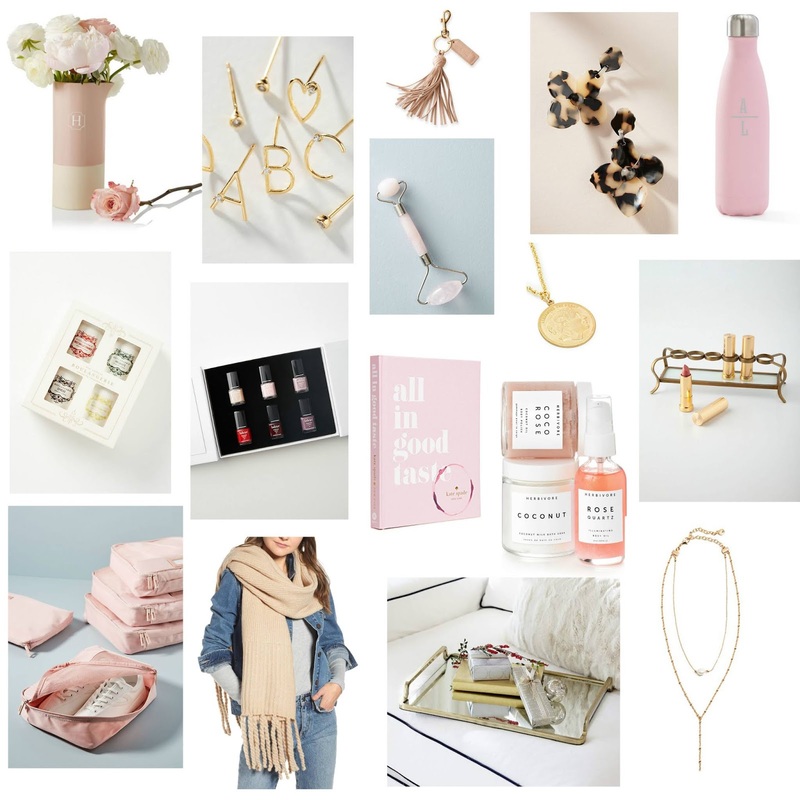 When I did my Insta-Stories a few weeks back polling you guys on gift guides, many of you wanted ideas for your Mom, Mother In-Law or girlfriends! This guide is ideal for the special women in your life. I hope you find some goodies for your bestie, your mom friends if you’re doing a gift exchange or even a co-worker you’re exchanging gifts with. My goal was to come up with unique items that the women in your life wouldn’t typically buy themselves- I want these gifts to feel like a special treat for them! Ceramic Vase– Free personalization TODAY. I love anything you can monogram and think a beautiful vase is something she could enjoy for years! Leather Tassel Key Chain– Free personalization TODAY. Putting this one on my list! This best seller is something she’s sure to never buy herself. Not to mention the fact that this will help easily her locate her keys in the bottom of her handbag! Water Bottle– Free personalization TODAY. Take her water bottle to the next level with the option to monogram it! I love the color combinations and swear by my S’well bottles (I have three!). Jade Roller– Something she’s been dying to try but would never invest in herself! Candle Set– These are some of my favorite candles. They burn beautifully, look chic anywhere in your home and smell divine. I love that there is a set during the Holidays! Letter Earrings– Ok, these are also on my list! So simple and chic- the perfect everyday earring. Coin Necklace (up to 25% off)– These are so on trend right now. She’ll be able to wear this with everything in her wardrobe and feel put together. Tortoise Flower Earrings– I am in LOVE with these beautiful earrings. They’re so unique and feminine and will dress up any outfit. Londontown Nail Polish Gift Set– Elevate her nail polish collection. I’m obsessed with this brand and love that they are vegan, 9 free and last like a gel. These colors are all of the classics! Coffee Table Book (up to 25% off)– I have this book and it’s made its way in and out of each room of our house. Currently, I have it with a stack of other books on my nightstand with some flowers- it’s the definition of pretty and a great price. Coco Rose Bath Set (Free Shipping)– Let me tell you how great these products are…they not only look lovely on a vanity or around a bathtub, but they are so luxurious. The scrub is my favorite! Lipstick Holder– I’ve seen this on several bloggers’ bathroom counters and am obsessed with how pretty it is! Packing Cubes– For the gal on the go! Need these for my next trip because you KNOW I live for some organization. Even in my luggage. Cozy Fringe Scarf (Free Shipping)– An everyday essential for the Winter months. I love how cozy this is and how easily this color would go with so much in her wardrobe! Mirror Tray (Free Shipping)– I have an antique tray from my Mom that looks just like this! I put my perfume on it and it feels so fancy. Lariat Necklace (up to25% off)– So much yes to this layered necklance. It’s on trend and would be SO beautiful with a lace cami and cardigan! Thursday (yes, Thanksgiving)- My HUGE sale post will go live. I decided to do this because I already have many of the retailers sale info and know from the last few years that MANY of you shop online while relaxing on the couch, stuffed to the gills with Turkey (stuffing in my case!). Also, many retailers will offer a really special discount if you shop on Thanksgiving. Black Friday– I’ll provide a round up of my favorite items on sale and updated sale info. I’ll share what I’m buying and the best places to snag the best deals. As retailers update their sale codes, or add things like Free Shipping or what not, I’ll provide that info too! Cyber Monday/Cyber Week– A curated round up is coming your way! It will be along the lines of Home Decor Favorites on Sale or My Favorite Boots and Booties. 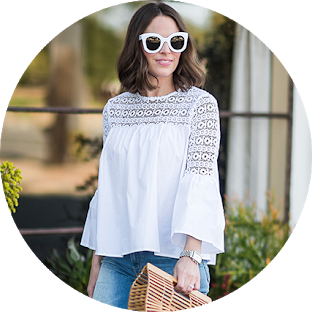 Next Post Try On Haul and Sale Favorites!